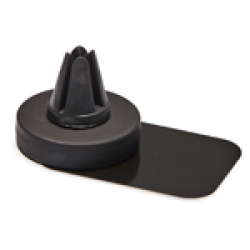 Details - This mount fits easily into most car vents and has a powerful magnet built in. 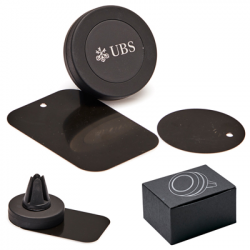 Each mount comes with two adhesive mounting plates to attach to your smart phone, one circle (40mm d) and one rectangle 45mm w x 65mm h) shaped plate. Each mount engraves to showcase stunning mirror finish decoration. 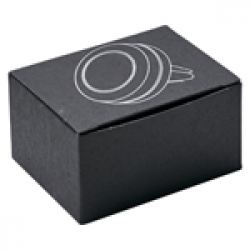 Individually boxed in black matte gift box with silver line drawing design. Pricing Reflects 1 position engrave. Lead Time: 3 days after artwork approval.